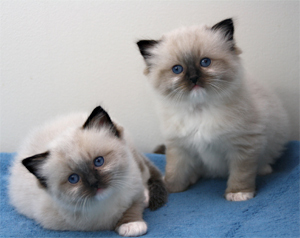 S*Eurovisions Lasha Tumbai & S*Wihlthos CoRson have got kittens. 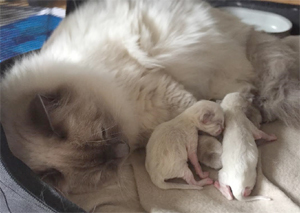 They are born 19 January 2017. 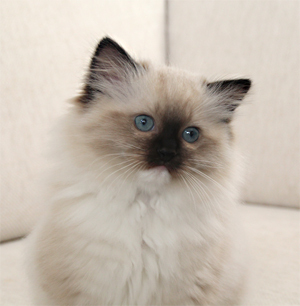 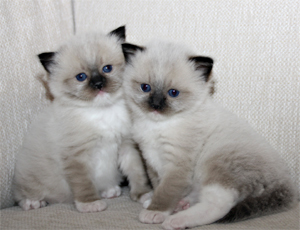 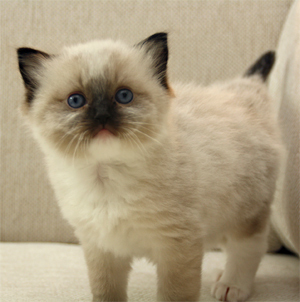 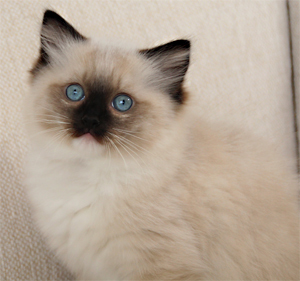 There are two female kittens, both seal mitted; S*Eurovisions Primadonna [Russia 1997 - Alla Pugatjova and S*Eurovisions Primaballerina [Germany 1969 - Siw Malmkvist ] This time we have chosen to call the litter Prima litter. 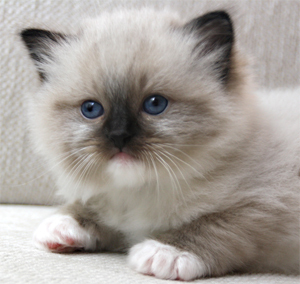 Hello from Primalitter 4weeks old! 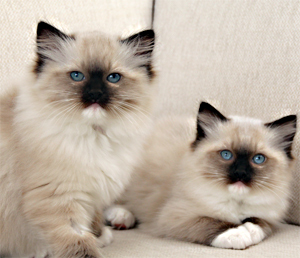 S*Eurovisions primasisters 10 weeks old!